DekTec serves the professional digital television market with a complete range of PC interface adapters and standalone IP converters, supported by test and measurement applications, operational software and SDKs. 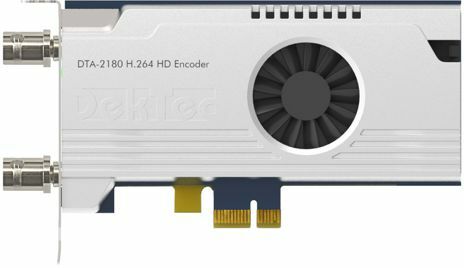 For over 16 years, DekTec provides digital-TV professionals with PC add-on cards, USB devices, network appliances, and a variety of software. The devices and applications are used for Test and Measurement and to build smart solutions with servers, desktop PCs, laptops and tablets. The digital-video interfaces supported include ASI, SDI, IP and RF (modulators/receivers). The StreamXpress player is used in numerous R&D labs for developing new digital-TV equipment. Broadcasters use it to try out new services. At NAB, IBC and other shows demos on many booths are powered by StreamXpress. It is used for field demos, in chip-set evaluation kits, at universities, etc. StreamXpert is an advanced Transport-Stream analyzer that is constantly being extended with new digital-TV analysis functions. Many of its 15K+ users consider the StreamXpert as the analyzer with the best look and feel in the market. In 2004, DekTec was the first manufacturer to bring a truly portable transport-stream analyzer to the market. It was based on the FantASI device, connected with a single USB cable to a laptop running StreamXpert. Dubbed the "Essential tool for every digital-TV engineer", the FantASI line has become iconic for DekTec. A complete line of PCIe and USB modulators. The DTA-2115B is DekTec's top of the line VHF/UHF/L-band modulator. It supports virtually all modulation standards currently in use around the world, including the latest such as DVB-S2X and ATSC 3.0. Baseband ASI and SDI interfaces. DekTec offers a unique architecture in which ports are fully configurable in software. For example, each of the four ports of the DTA-2174 can be input or output, and ASI or SD-/HD-/3G-SDI, in any combination. Another first has been the introduction of PC network cards with hardware acceleration for digital-TV streaming over IP. The DTA-2162 is the current top model. DekTec network cards can generate multiple jitter-free IP streams, and measure the IP jitter of incoming streams. Receivers for monitoring, storing or re-multiplexing of modulated DTV signals. 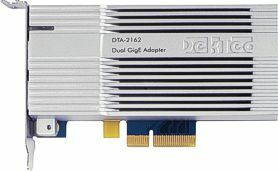 DekTec offers hardware-based receivers, like the DTA-2137 dual-channel DVB-S2 receiver, and SDR-based receivers like the DTA-2131 that demodulate entirely in software. 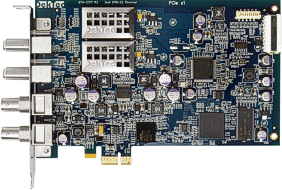 DekTec has a host of new PCIe cards and USB devices in development, some of which are on the edge of release. These include HEVC / H.264 encoders and decoders, 10GbE interfaces, 12G-SDI cards, many-port baseband devices with 4K support, and more. If you are a developer of PC-based broadcast equipment, you can integrate our PCIe cards as interface adapters in your system. We call this "OEM" for which special hardware pricing applies. Most of our USB devices are available without case as OEM devices, too. For integrating our hardware with your application, we offer a free SDK for Linux and Windows, common to all our hardware. 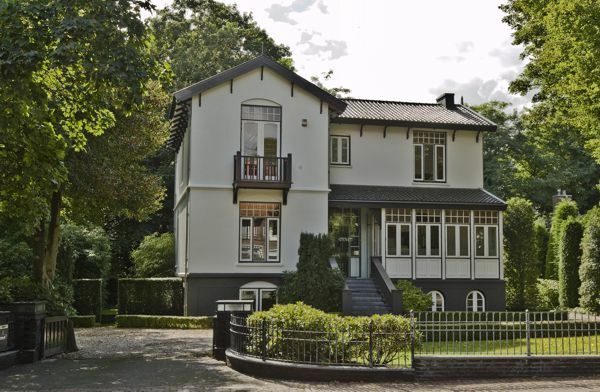 DekTec's headquarters and main development centers are located in The Netherlands. In the USA, DekTec has a wholly-owned sales office and development center in Colorado. All products are produced in The Netherlands and worldwide locally available. Products are always in stock and ready to ship. We have an open pricing policy by advertising suggested retail prices on this website. DekTec is actively participating in different standards committees: For example, within DVB we actively helped develop the DVB-T2 and DVB-C2 transmission standards. DekTec is also a registered member of HDMI, IABM, PCI-SIG, SMPTE, USB Forum and VSF. With thousands of satisfied customers, we are convinced that we have the right solution for you!